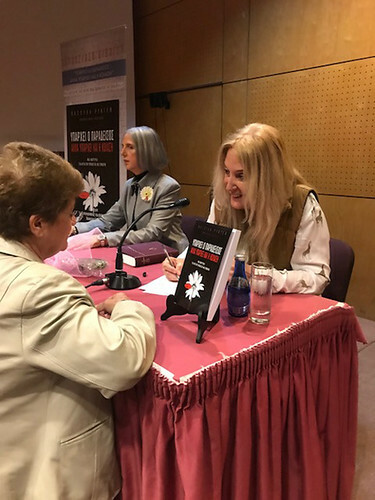 After the successful presentations at Ianos bookstore in Athens and Karavaki bookstore in Rhodes, it was Cyprus’s turn to invite Vassula to present her exciting autobiography Heaven is Real, but so is Hell. Hence, on April 9th we flew from Rhodes to Athens, remained in transit for two hours, and then continued on to Cyprus. 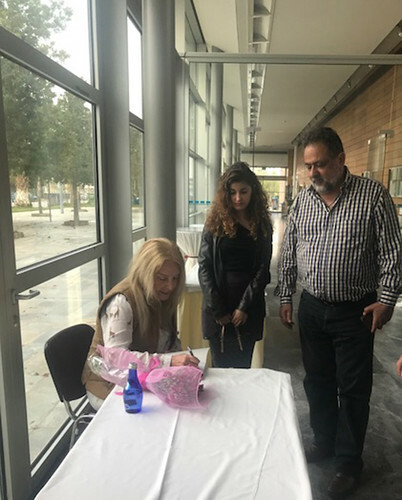 The True Life in God friends who had organized the presentation welcomed us at the Larnaca airport with eager joy and accompanied us to Mrs. Ninetta Ekman's house, who would host us. 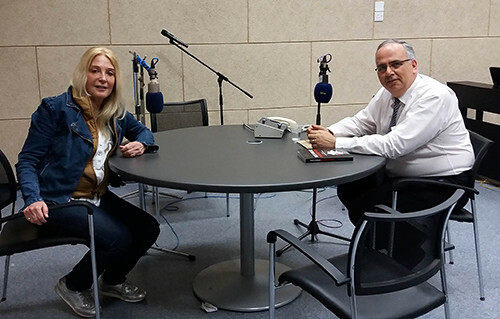 By God’s grace, the public radio station CyBC 1st Programme opened its doors to Vassula the following day for an interview on the show Voice of the Maronites, which broadcasts every Friday in Cyprus and on LGR (London Greek Radio). 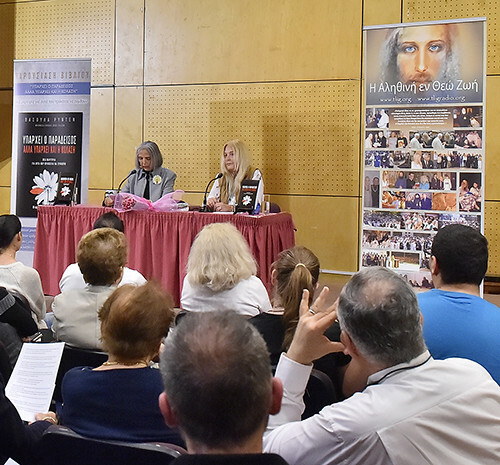 The host was Mr. Akis Hadjiosif, who had previously interviewed Vassula for the LGR while she was in England in 1995 to give her testimony to a Benedictine monastery. The interview lasted an hour. Mr. Hadjiosif and Vassula discussed her new book and her mission. They talked about repentance, love, and the unification of the dates of Easter; he raised questions about religious issues which he knew his listeners would be interested in hearing. 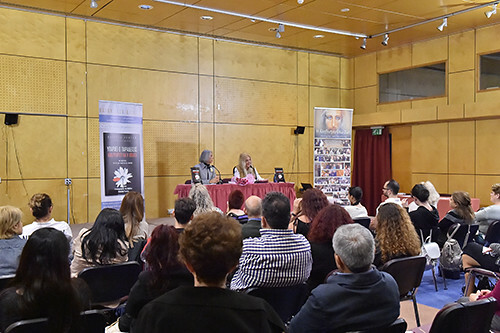 The book's presentation was due to take place at the Journalists’ House in Nicosia at 7:00 p.m. the following day, April 11th. At the entrance to the presentation hall, Heaven is Real, but so is Hell was beautifully displayed in two languages: Greek and English. Those who entered, most of the passers-by who found out about the presentation and the book from Facebook, had the opportunity to look through the book. At the beginning of the presentation, Ms. Noni Hadjiosif prefaced the event and introduced Vassula to the audience. She told them that Mrs. Vassula Rydén's autobiography entitled Heaven is Real, but so is Hell is the story of Mrs. Rydén's amazing journey and her conversations with God. 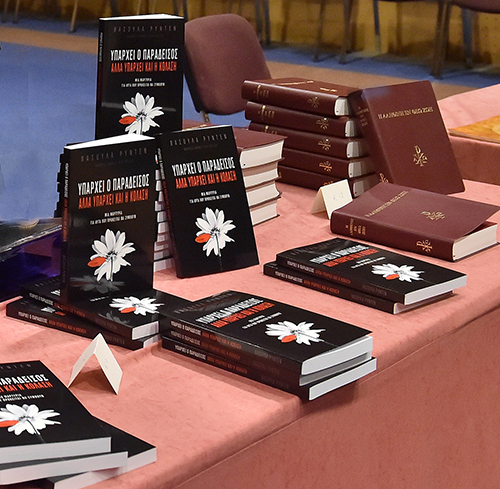 It is a book that will awaken everyone who seeks the truth and a way through the troubled world of today. Then, Vassula addressed the audience. After thanking everyone for coming, Vassula said that she decided to write this book so as to make it easier for people to understand how God works. She wanted to impart God’s purpose for approaching and talking to her. This correspondence with God is the spiritual journey she tried to describe in her book. She said that this year marks 33 years since she started this journey with Christ. Overall, her message is that what really matters in this life is to go to heaven. Heaven is our destination, our real home. She added by saying that God created us for the glory to live with Him. He could have made us like machines or robots, but He instead made us free to be able to choose love. Everything we think and do is a manifestation of how we choose to use our freedom. The Lord says in the True Life in God messages that on the Day of Judgment, God will judge us all by the measure of the love we offered on earth; we should never forget this. All the other virtues are born of love. Without love we have nothing. Let us love God and our neighbor. The meaning of our life, then, is to love God and to exist with Him forever. After the presentation, several people (the audience was comprised of about 80 people) asked Vassula questions; she readily answered them. The resonance of Vassula’s speech within their hearts revealed their desire to read the Lord’s modern-day messages by not only purchasing the autobiography Heaven is Real, but so is Hell, but also the One Book of True Life in God which contains a compilation of all the messages. Several people even submitted their contact information for additional notifications. Another lady testified that when Vassula was speaking, she smelled of a fine fragrance of rose, and another said that when she was listening to Vassula she felt that someone was caressing her head. Moreover, another lady, Mrs. Marina, said that as Vassula began to recount and describe her book, she felt a very nice positive energy; and while sitting in her chair she wanted to move as if she could not sit in one place. And Vassula explains: “Many times, Jesus or our Blessed Mother effaces me and their image appears to people, instead of mine. 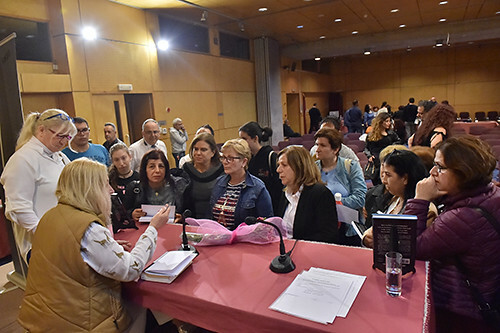 In conclusion, after the presentation, several people’s spiritual thirst led them to surround Vassula and ask her further questions. They wanted to benefit from her presence and listen to more from the writer's own mouth. She was happy to answer their questions for about a half-hour. With such a lively presence of our Lord, the whole event of the presentation of Vassula's autobiography Heaven is Real, but so is Hell was completed in Cyprus. 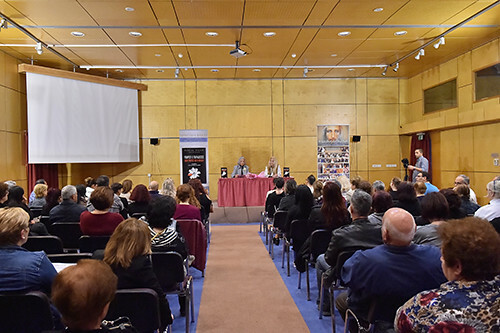 We sincerely thank the Journalists' House in Nicosia who hosted as well as the True Live in God friends in Cyprus: Noni Hadjiosif, Ninetta Ekman, Inga Ekman and Maria Dimitriou for providing its organization and success. "I thank You, I thank You and praise You for Your marvels You are literally showering us with. My heart rejoices and exults Your Holy Name, . . . "